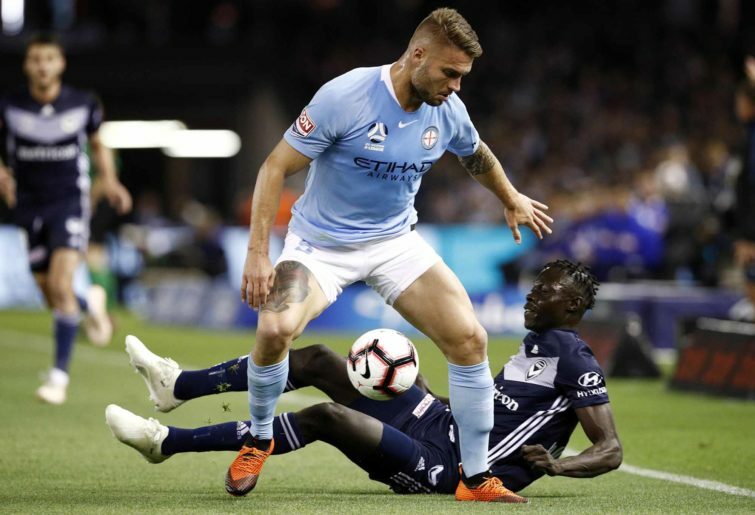 But since Bart Schenkeveld’s 94th-minute winner at AAMI Park, City now sits fifth – nine points behind Melbourne Victory in second and eight behind Sydney FC in third – following two dull away losses against the Sky Blues (2-0) and fellow finals aspirant Wellington Phoenix (1-0). Still, it’s not good enough according to captain Scott Jamieson. “We’re certainly not feeling good in fifth,” Jamieson told RSN Breakfast Club on Wednesday. “We were closer to the top three at a point four or five weeks ago and we’ve let that slip – there’s no denying that. Jamieson said there’s an opportunity for the team to now, with two offensive counterparts coming in, push for a spot in the top two. “Whether that’s out of our hands I don’t know, but where we sit we want to do it,” he said. 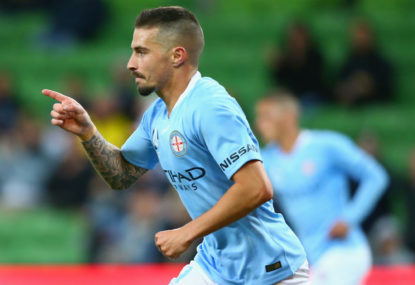 City fans have no doubt been buoyed by the addition of Maclaren and 21-year-old Harrison, who add much-needed firepower to a squad starving for recognised goal scorers. Despite sitting in a respectable fourth position on the table for a large chunk of the season, City has the equal third worst attack in the league when it comes to goals scored. 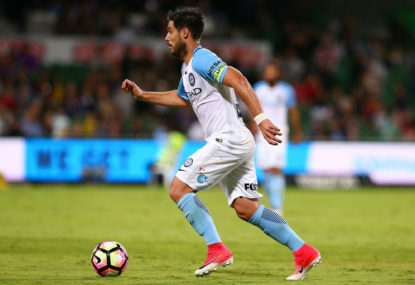 City have netted just 21 goals so far this season – likewise Brisbane Roar – with only Newcastle (20) and bottom-placed Central Coast (18) with a lesser tally. But Jamieson is still hopeful that there is plenty of time for the tide to turn. “We were doing OK in regards to our right back playing striker – it sounds quite weird that you have your number one right back playing striker, but we did well and we got through a difficult period with a pass mark. “With Jamie coming in, it does release the pressure off a few young lads who have done really well. “That really helps and then Ritchie (De Laet) can go back to his normal position – that really helps. It does shift a few things in (our) favour. “We have to be working hard. It starts with Adelaide and then we have a run of teams above us. Openly we’ve failed against the teams above us, we really need to stand up. 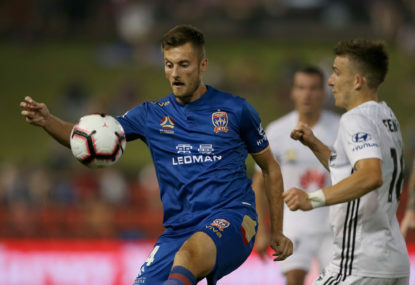 City’s Saturday night must-win contest against Adelaide United is one of three notable mouth-watering clashes in Round 18, with the Reds sitting two points ahead of City after a remarkable 4-3 comeback against the Roar last week. Jamieson also made mention the disappointing state of the A-League, suggesting to the upper hierarchy of the league that something needs to be done to “try and fix things”. “Without being brutally honest, we’re probably struggling, if I’m really honest,” he said. 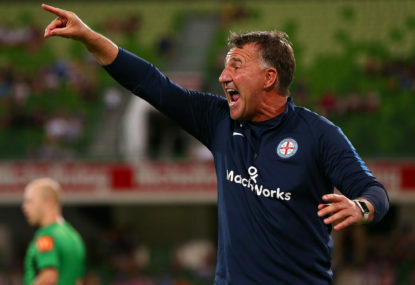 “I think collectively with the Matildas, the A-League crowds and (Asian Cup performance), it’s been a below-par kind of situation we’re in at the moment. There’s crowds, there’s referee things and VAR. “I just gauge a lot of frustration. The fans are what make this game, we need fans to put bums on the seats and they’re the ones that are really upset with the VAR. 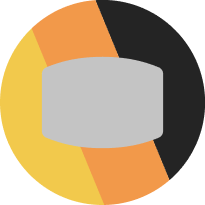 “I think we’re at a stage where we really need to change things as a code. “There’s no denying that we as a code are struggling. In the summer you have cricket – and the Big Bash is fantastic – but if we look at our participation numbers, we’re number one (compared to Rugby League and AFL). 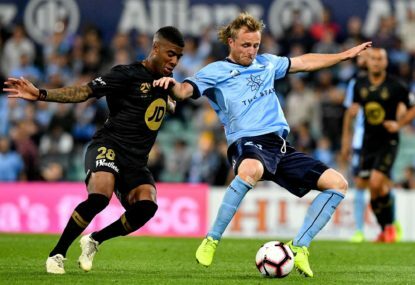 Jamieson pointed out the initiative and leadership shown by former Socceroos captain Craig Foster in the situation regarding refugee footballer Hakeem al-Araibi, noting that Foster was surprisingly not recruited into the FFA board. Foster was a popular people’s choice for FFA chairmanship due to his natural passion and love for the game. 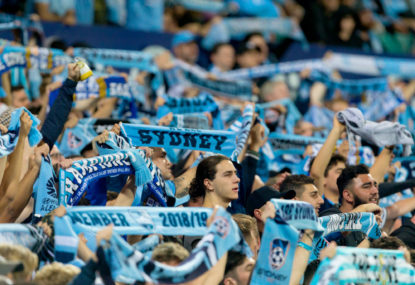 In an article written by football journalist Michael Lynch in the Sydney Morning Herald late last year, Lynch wrote that Foster’s sensational withdrawal from the position was an “indictment on soccer politics”.